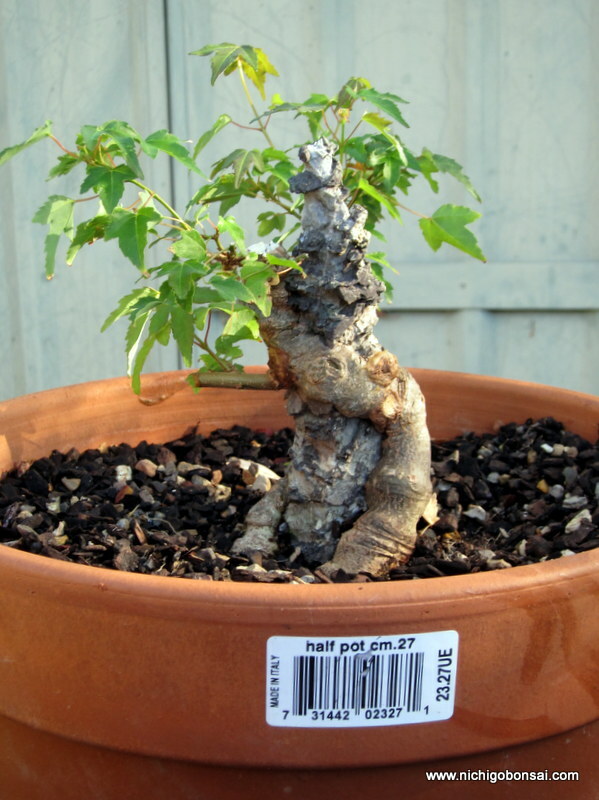 You are currently browsing the tag archive for the ‘Australian Bonsai’ tag. Well as is often the case, life has been busy and the blog has suffered. I have been able to find some time today to write a string of posts that should be published over the next few weeks. To kick things off, while going through my photos i found some before and after images of a small tree I have been playing with. The images are just a summer’s growth apart and seeing pictures like this reminds me of how good it is to capture your trees in images to track their developement. This tree I thought hadn’t really changed all that much but looking at the images you can see it has changed a lot from the start of the season. Picture one shows the tree as I received it. It was imported from japan some time in the 1990’s when regulations were a little less strict and I managed to be in the right place at the right time and picked it up. 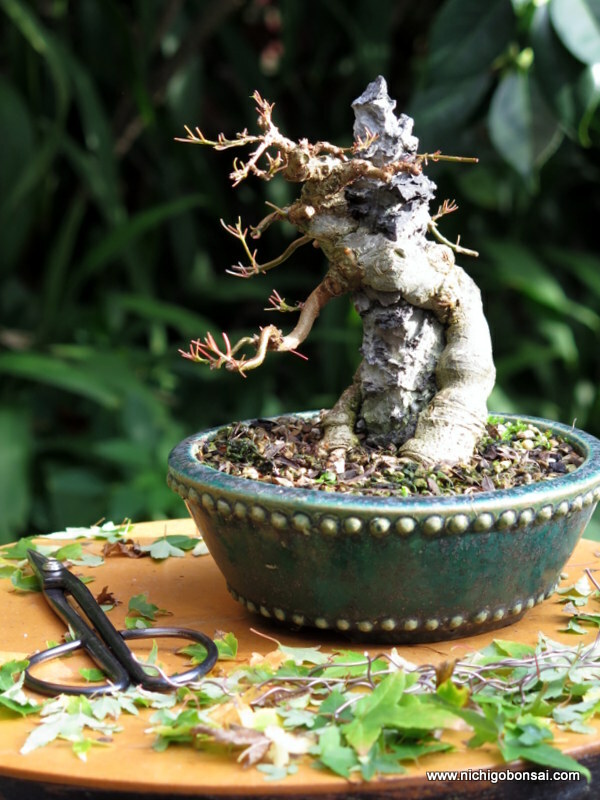 Since it came into my collection I have potted it up and begun to build the branch structure. I had to graft on a branch (Third on the left) but now the basic structure is set and I am looking forward to ramifying it over the coming summer. As the tree is now, ready for another years development. Probably next year it could go into a more suitable pot but for now the Koyou pot it is residing in isn’t too bad. Where to from now? well I want to grow the first branch out a little longer and generally ramify up the tree a whole lot more. Buds are just starting to open and I cant wait to get started. 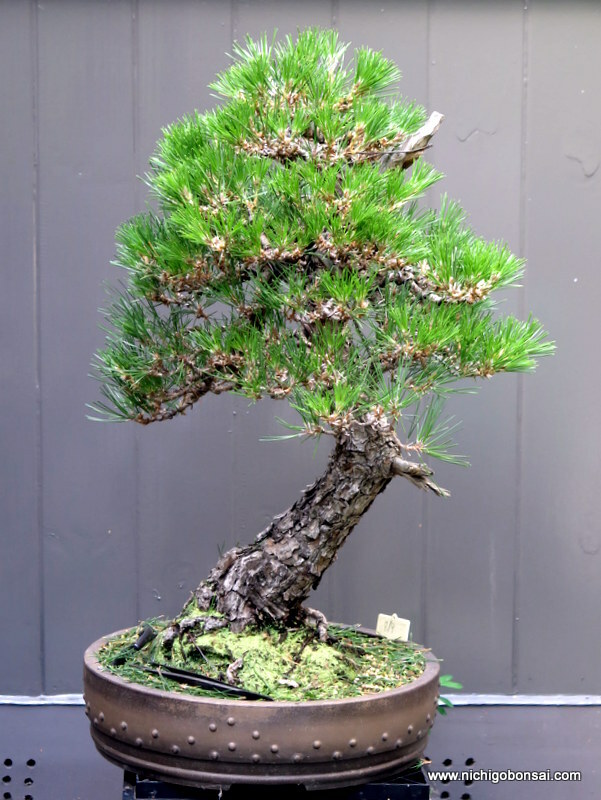 Another customer tree that has undergone needle work, candle selection and re-setting of the pads (tenaoshi). Unfortunately I didn’t realise the camera was in black and white mode for the after picture but you can see the results fairly well despite the lack of colour. Before, looking bushy and healthy after a season of good growth. A film noir look at this bunjin tree after the work. Not a dramatic change, merely some minor tweaks and re-setting of some candles that grew out of the silhouette. Over all a very nice tree that is ready for another year of development. Tenaoshi (手直し) is a japanese term for a what is a fairly un glamorous but necessary task. The character ‘te’ (手) means hand and ‘naoshi’ (直し) means to fix or repair so together they basically translate to fixing by hand. It’s a very logical description that describes the maintenance task of resetting and fixing the tree after a season’s growth. As the tree grows often branches slowly lift their tips, and or the wind, passing people and or animals can displace branches despite being wired. To remedy this the artist should as part of their maintenance adjust the wiring and maybe even add some additional wire to new growth. 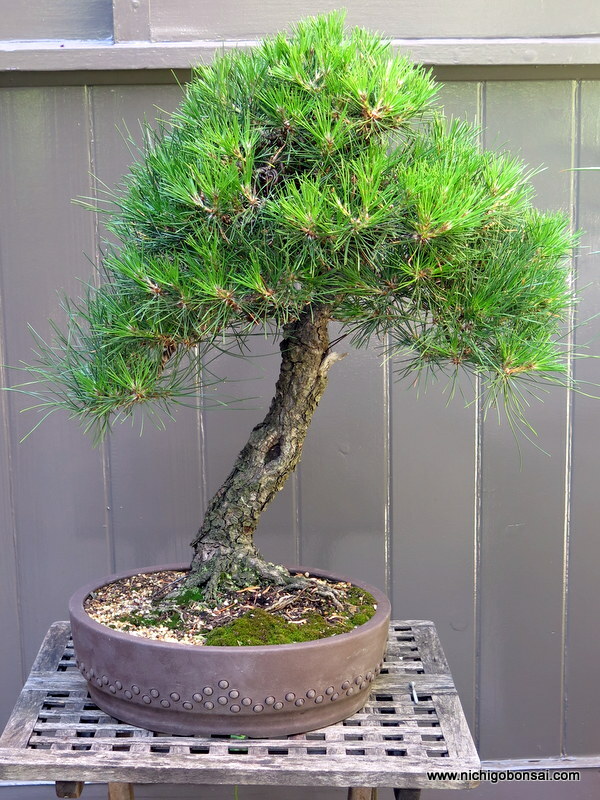 Often this fixing by hand is combined with some light trimming (and needle work in the case of pines). 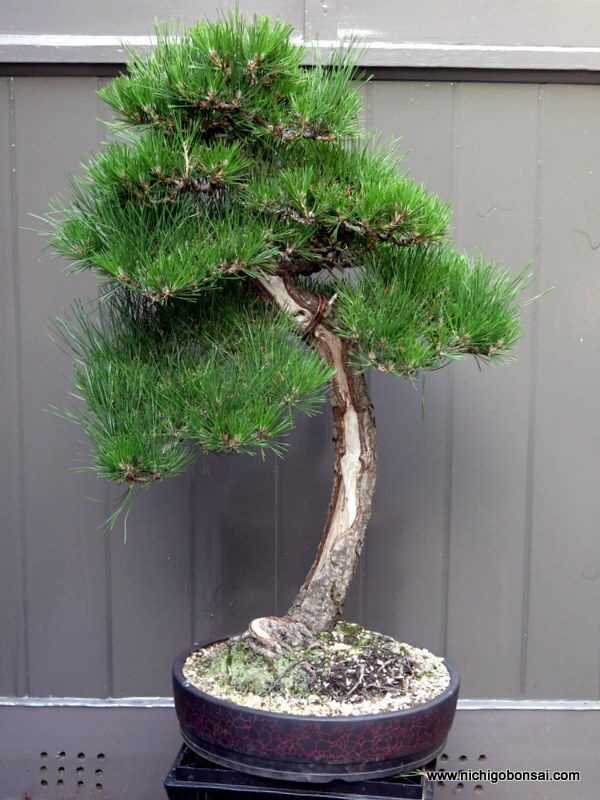 A customer’s white pine after a season’s growth. 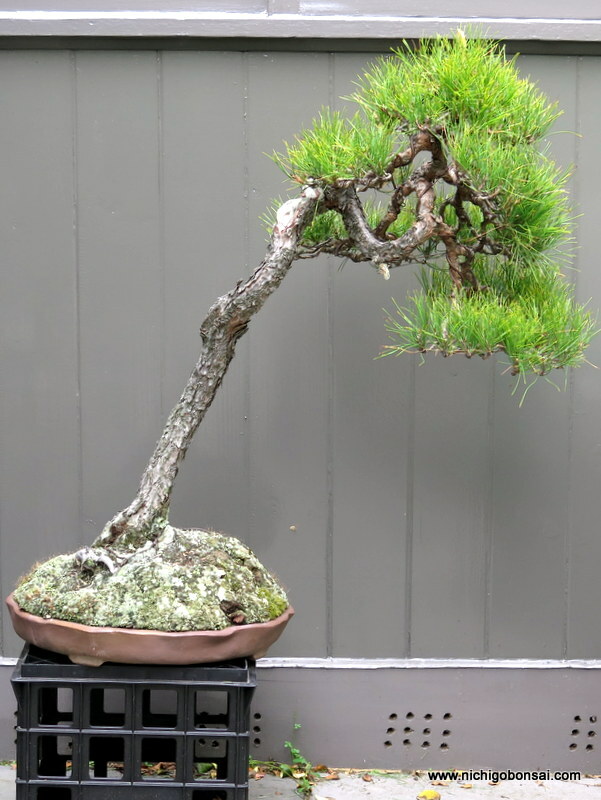 As large changes in the before and after images are not really the aim, tenaoshi can seem like a bit of a tiresome task, but it is an important part of any seasonal bonsai routine and your trees will be much the worse for not doing it. After some trimming, needle work and re-setting of foliage. 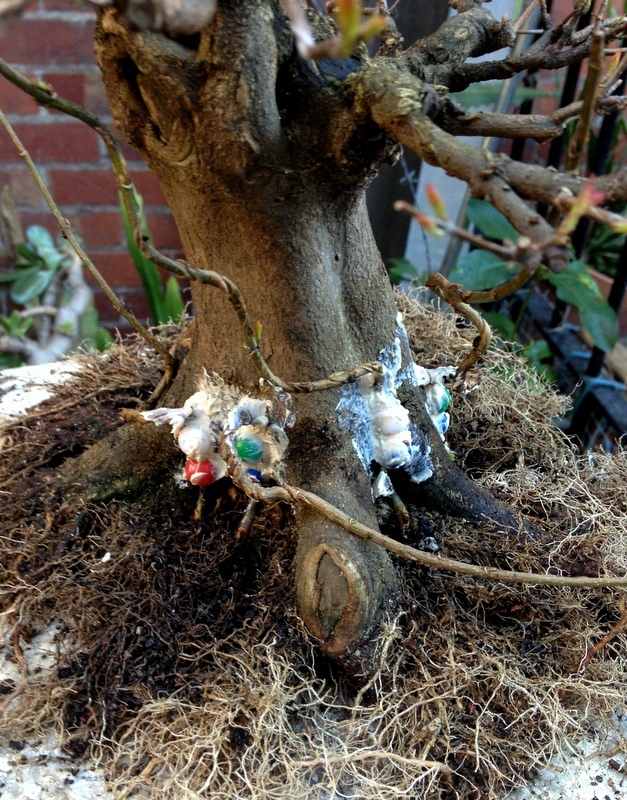 So next time you are out in your garden working on your trees, don’t simply wait until the tree needs re-wiring, adjust the wire that is currently on the tree to keep it looking and growing in the best form it can. Been busy as per usual but I have managed time to fit in a couple of customer trees. 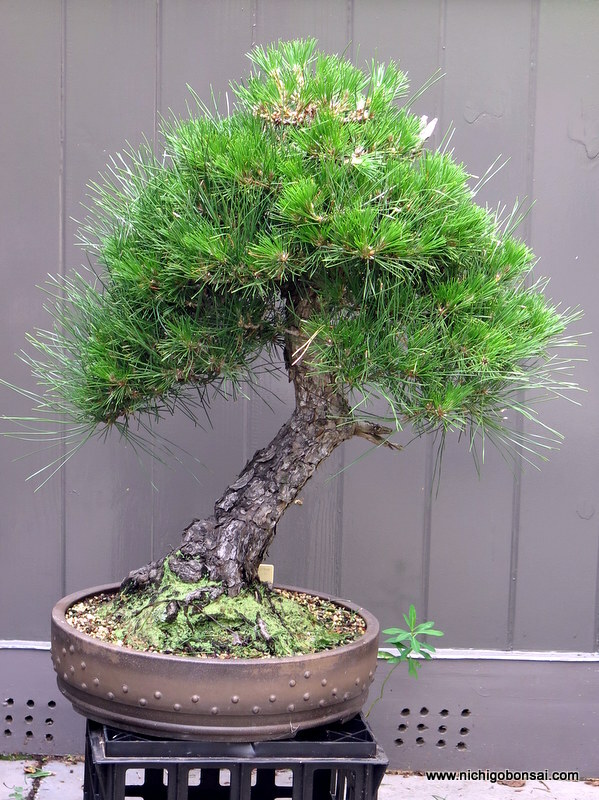 Below is a quick before and after of a black pine that needed teasing out of a sea of needles. A fun tree to style. The after shot is a little lacking in quality but I am sure you get the idea. After a day or so work. As the days get cooler we slowly approach the time of year where I like to style conifers. 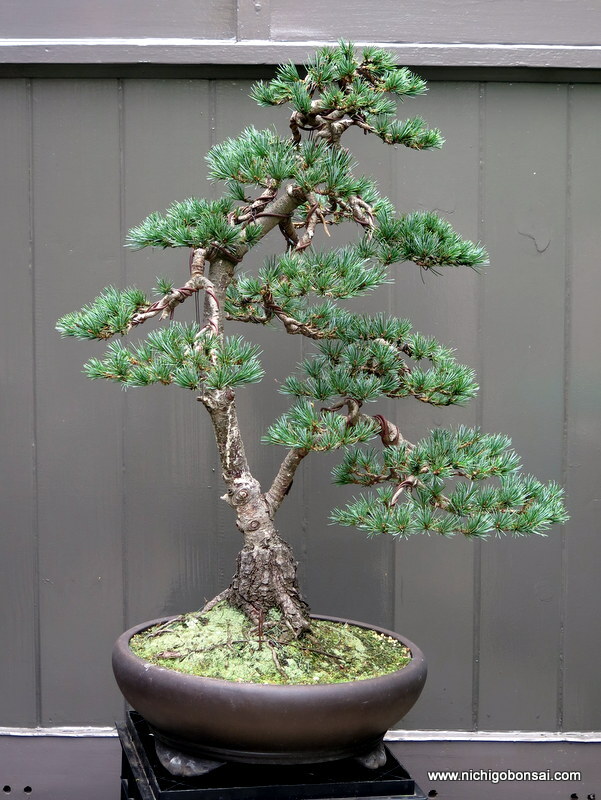 This year is gearing up to be a big one for bonsai work as I have taken on a number of customers trees to be styled. 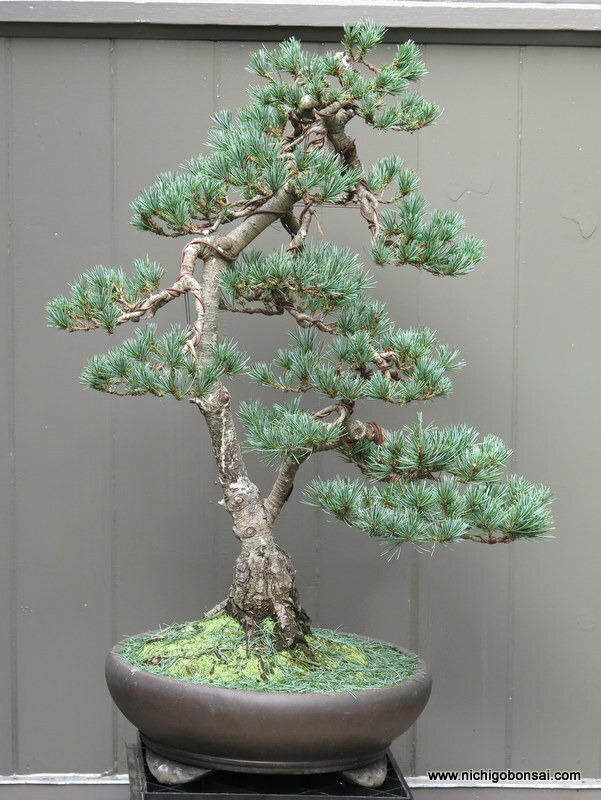 Following on from the last Black Pine I worked on, I had the opportunity to work on a similar tree. At least it looked similar before the work begun, but soon after the old needles were removed a new set of structural challenged presented themselves to be solved. 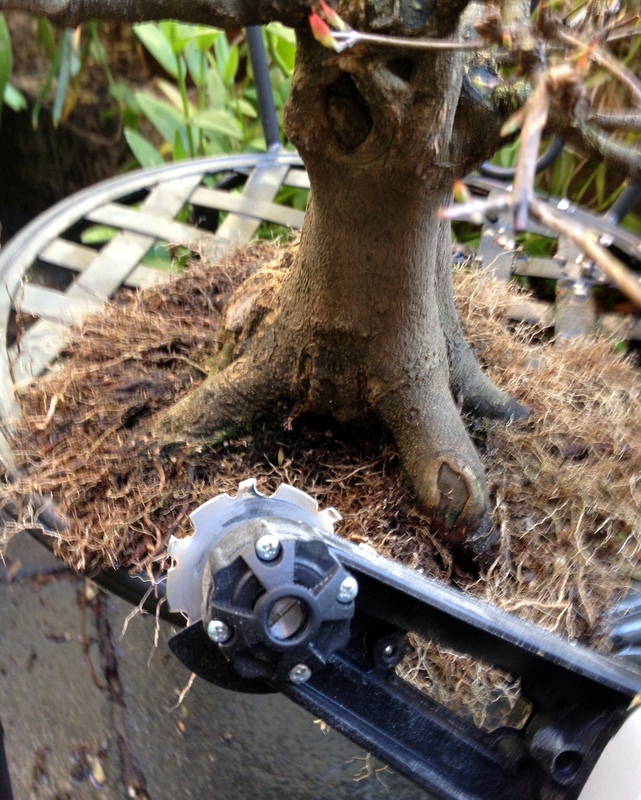 I decided to rotate the front slightly which brought up the issue of the first branch. That is it was now heading towards the rear of the tree so with the help of a screw in the trunk I was able to bend it forwards. This then set the base of the tree and the rest of the canopy could be built around it. The head was finally lowered and rounded out to create the final image. Again this tree now needs a couple of years to grow into its new shape but even after the couple of weeks that passed between starting the job and finishing, new buds are beginning to form which should see this tree become show-able in the not too distant future. Things have been pretty busy since I got back from Japan. 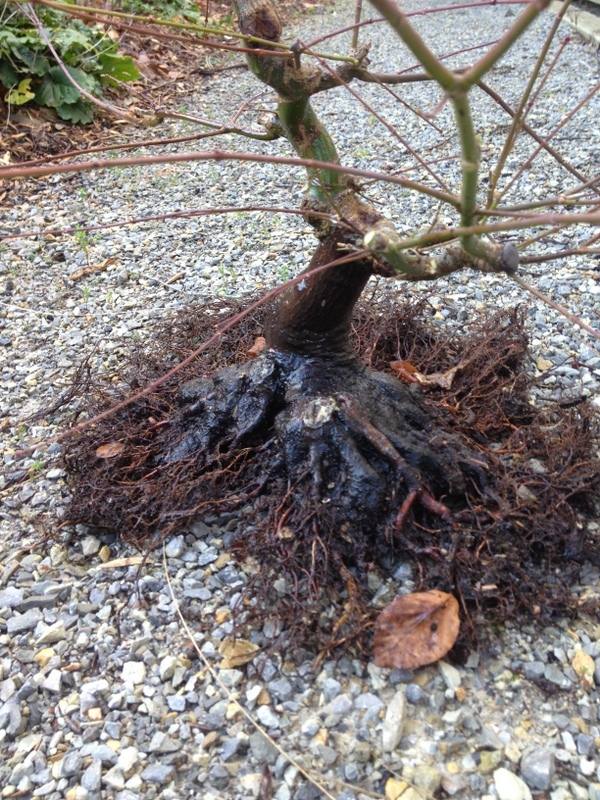 A new job, a pregnant wife and Autumn’s bonsai work just beginning haven’t left a lot of time for the blog. 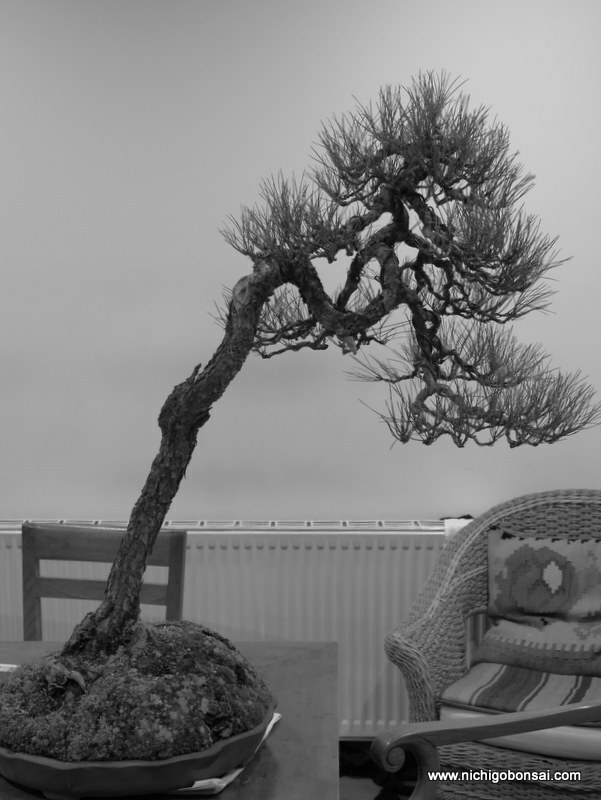 On top of this, I have also been doing a fair amount of work on customer’s bonsai and their collections. Some of this work is routine seasonal maintenance, some of it teaching and then some of it is re-styling. 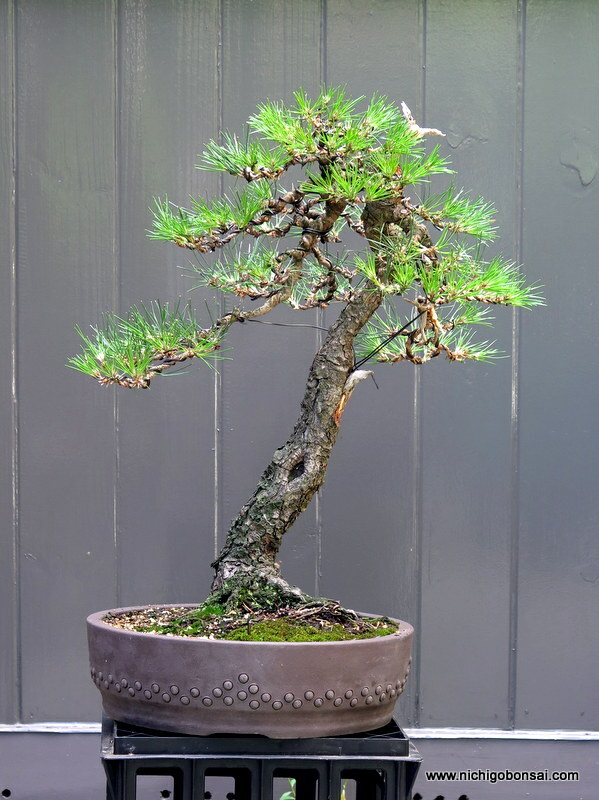 One such re-styling I completed recently was the black pine pictured above. 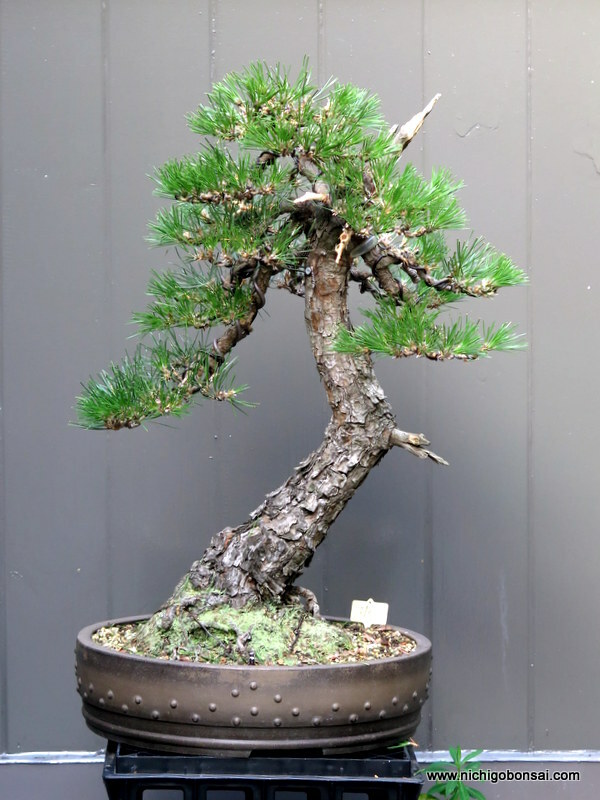 For Australia, the black pine had some good age to it and was starting to develop nice bark textures, but it’s canopy had grown into a solid blob over the years. My job was to find the tree within the blob. 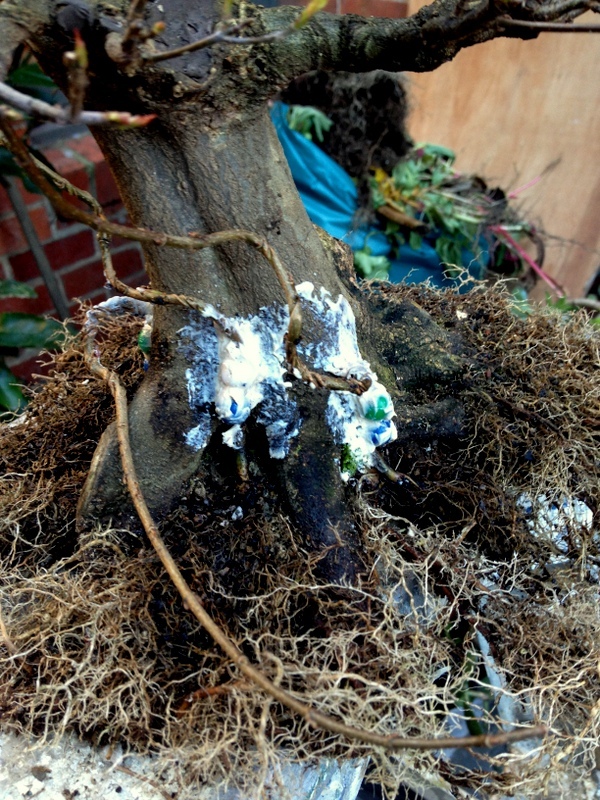 I had to prune a large number of branches out and define a better branch structure to set the tree up for it’s future. As a result a fair amount was cut off the tree but now the bones have been formed to grow a better structure upon. One of the main changes, apart from separating the foliage into layers was to enhance the movement of the tree. 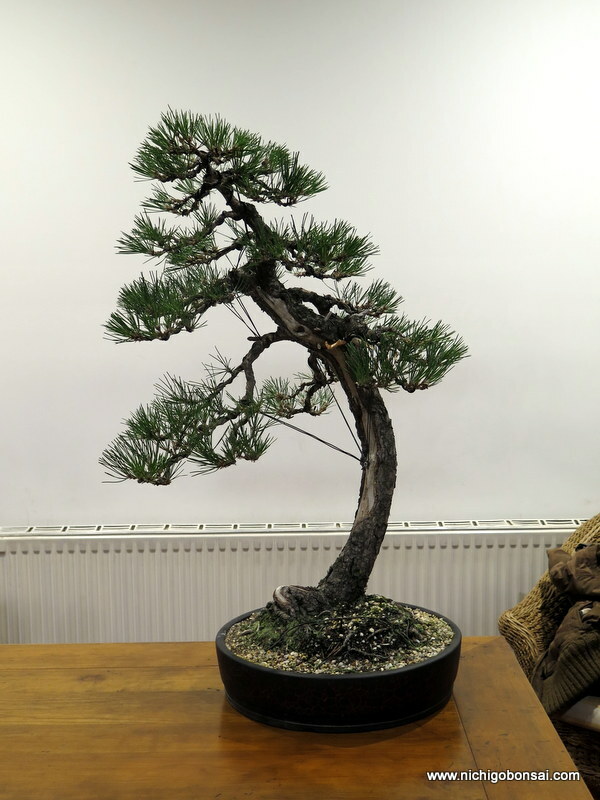 This involved shortening the right side and lowering the head to accentuate the left movement of the main branch which made a huge difference to the appearance of the tree. I think a re-pot into something more suitable and a year or two of candle pruning should see this tree fill into a very nice tree. I have been busy re-potting in the last few weeks and finally managed to get around to doing a project tree that I have been growing for a couple of years. 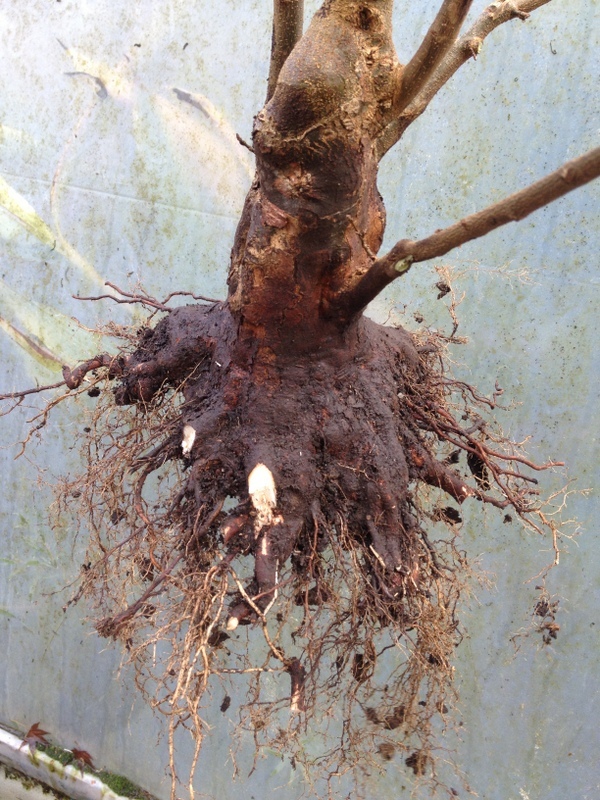 When I first acquired the tree I placed 6 or so root grafts onto the trunk. 3 took and 3 failed. Since then I have been meaning to replace the failed grafts but for what ever reason, every time I have had this tree out of its pot I havent been able to do the grafts. The Arbortech and the faulty nebari in the back ground. You can see the two vertical scars from last attempt. The first failures were all down to the fact that the channels that accepted the new shoots were too shallow. 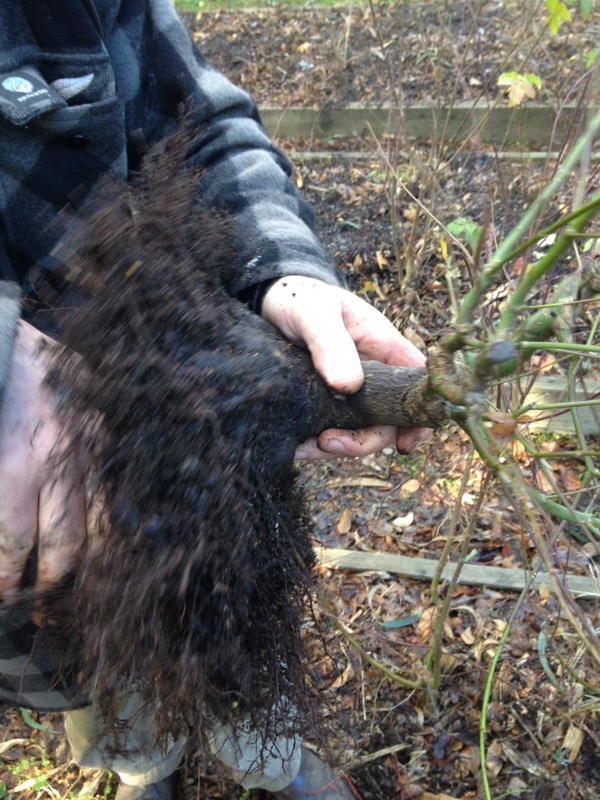 As the approach grafted seedlings thickened, they simple pushed away from the trunk instead of fusing. I originally cut the channels with a knife and was only able to cut so deep. This years remedy was the Arbortech! I do very little machine carving but this tool does get a bit of work this time of year as it is excellent for cutting graft channels. The process is dead simple. 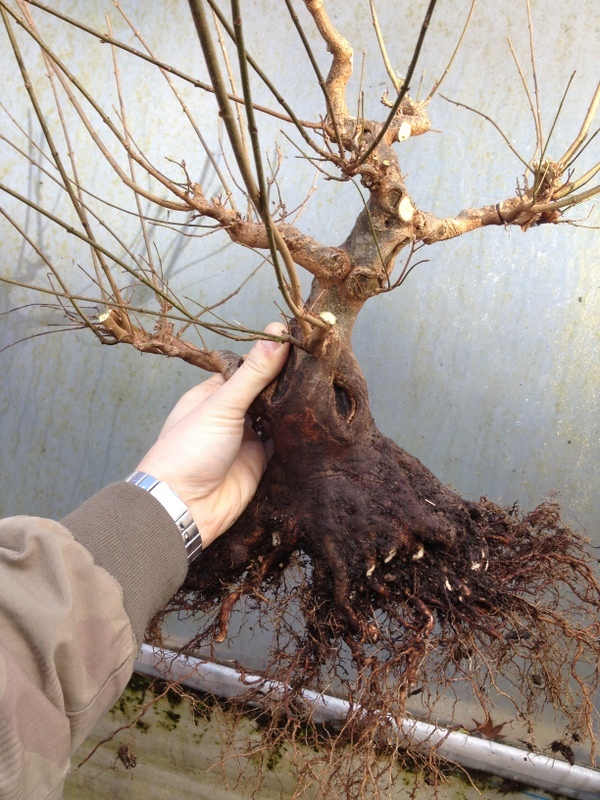 It is much the same as any other approach graft except instead of using a branch from the same tree you use seedlings as your grafting material. The basic idea is that you cut a vertical channel in the trunk where you would like some new roots. 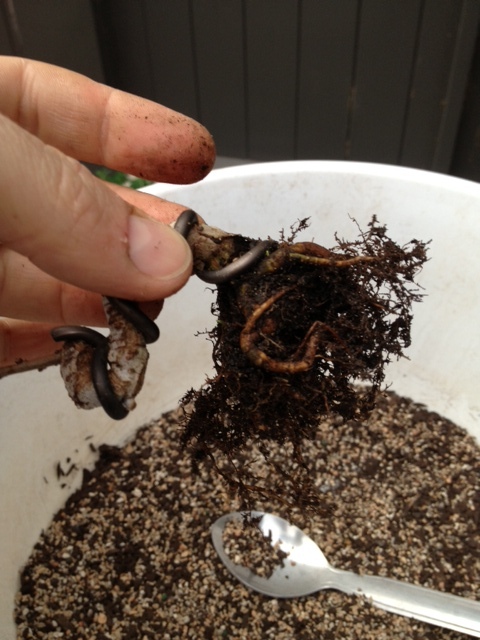 You then insert a seedling into the channel and adjust it until the seedling’s roots are at the same level as the existing nebari. 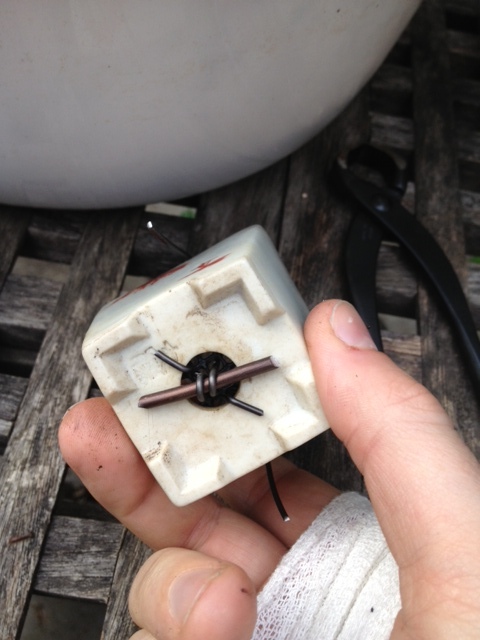 Then you fix the seedling into the channel (I used big map pins), seal it all up with cut paste and let it grow. Soon enough the seedling will thicken and fuse with the trunk. 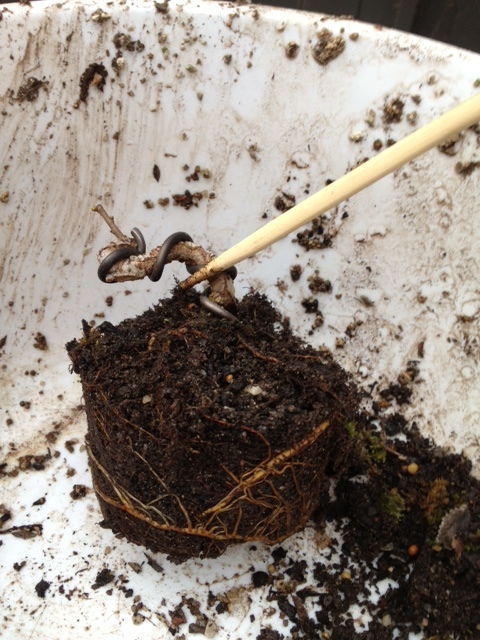 Cut off the top of the newly grafted seedling and you have new roots where there were previously none. For a better breakdown of the general theory see these two posts. Post 1, Post 2. This year, the seedlings look a little strange as they are all from the batch of seedlings I bent the year before. Having said that, the bendy little trunks were very useful as I was able to use the first bend to create a good angle for the new roots to leave the trunk from. The bendy seedlings are care of a project I started last year. 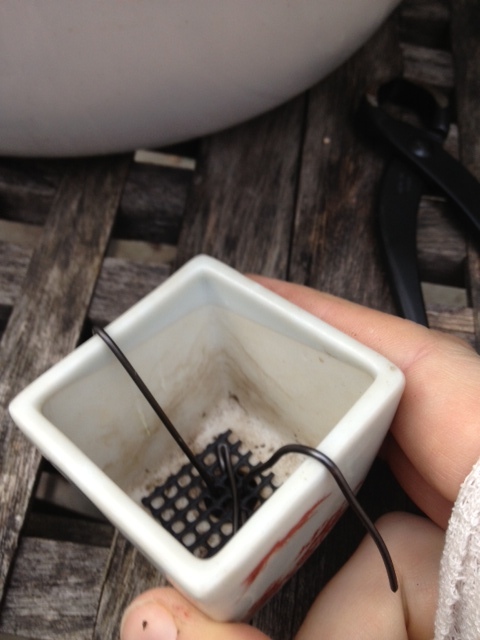 The new grafts were generously coated in cut paste and then the whole lot was potted back into its training pot. I imagine that by the end of this rapidly approaching summer the grafts should have taken and I will be able to shorten them back before then some time the following year cutting them flush with the trunk. Hopefully I remember to take a few pictures along the way. I have been trying to keep my collection from growing any larger with mixed success over the last few months. What makes it especially hard is when you help friends dig stock out of their growing rows at their nursery. This years visit to Shibui Bonsai was much like last years in that a lot of nice stock was dug (which I am sure a lot will be featured in the coming seasons catalogue). Although a lot caught my eye, I was well-behaved and none of the ground grown stock came home. That is not to say I didn’t bring anything back to the benches……. For a while now I have been meaning to grow some small twisted mini’s to use as accents in 3 point displays. On the benches at Shibui, Neil had a range of interesting little chinese elm root cuttings that I thought would be perfect for the project so I brought one home. 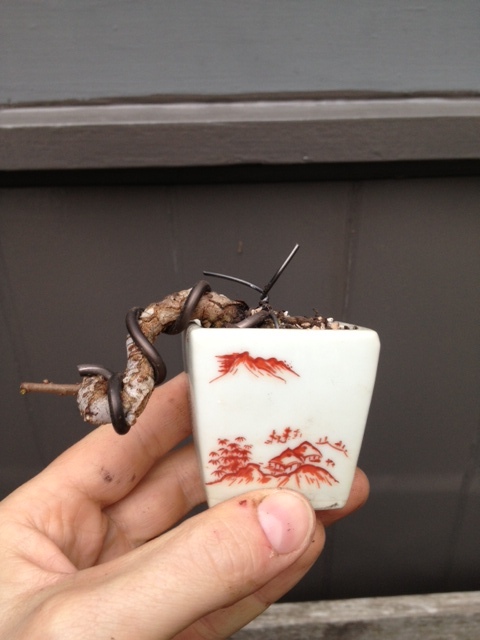 Today I wired the cutting to enhance some existing curves and then re-potted into a much smaller container in which I plan to start to grow a small crown from. Often working out how to secure a small tree into a small pot which only has one drainage hole can be difficult but I have found the method shown below works well. tie-in wire secured to a larger wire. Mesh installed and tie in wires ready to accept the tree. The pot itself is by no means a museum piece but it is a well made Marufuji production pot. Being a little on the large side will serve it well to help the tree establish some new ramification. Once I am happy with how the ramification is progressing I will look for a more suitable pot anywhere up to half the size of the current container. The roots were reduced accordingly. For such a small cutting the tree had grown a number of large roots all of which I removed and or shortened to fit into its new home. Potted up but before I trimmed the tie in wires. After half an hours work the tree had found its new planting angle and its new pot. It is by no means a masterpiece but I think once I can develop some ramification it could make an interesting companion to a larger tree. I think this little tree will make a nice addition to the collection in the coming years and being so small it shouldnt effect the space I have too much. In fact I probably have a whole lot of room for trees of this size.